FINISH: Phil built this bike himself with the help of The Bicycle Academy. Then he downloaded our template, coloured it in and emailed it over to show us what he wanted. When his bike arrived, we knew exactly what to do. 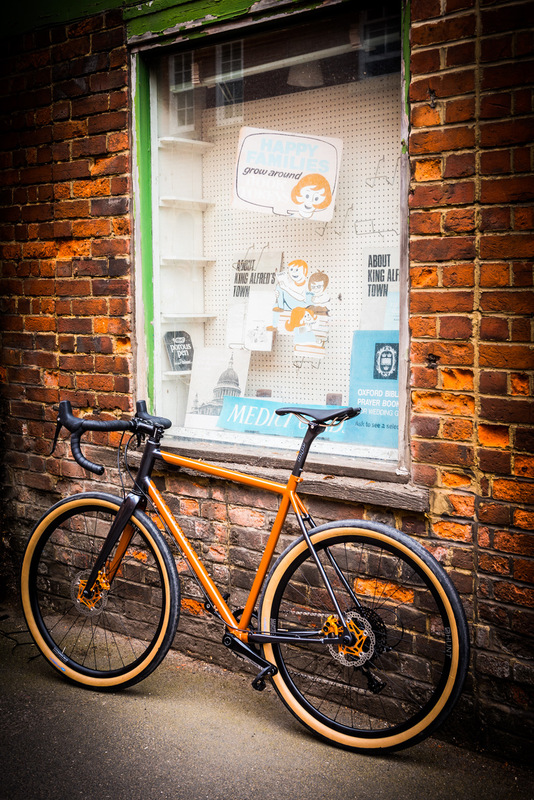 We took the lead on some of the specifics like the EXACT colours, the transitions and the typeface for the downtube branding but on the whole, this is Phil's vision made real. As a flourish we applied an orange pearl over the whole bike really making it sing in the sun. We had a lot of fun taking Phil's headbadge sketch and making it into stencils for his Ginger Fox headbadge character; it's a real highlight on this build. What was a selection of tubes he'd brazed together is now a fully refinished bike with a professional finish and high-end components, truly elevating his work to the next level. We're looking forward to his next project.